What are the most popular games on quiz machines? Quiz machines are a great way to keep individuals and groups of family and friends entertained while they’re in your establishment, with the added appeal of a potential cash prize for players with a good enough knowledge of trivia. But what are the most popular games on quiz machines? Some of the most popular quiz machines are Games Warehouse Paragon quiz machines, and these are where you’ll find some of the top quiz machine titles too. With easy gameplay, a familiar format and a good chance to win back your stake, it’s easy to see why Pub Quiz is the first port of call for many players. This is just one of the traditional pub quiz titles on Games Warehouse quiz machines, which also include games like Pints Make Prizes and the music-focused Pop Quiz. Students are some of the biggest players of quiz machines in Manchester, so daytime TV crossovers like Pointless have huge popularity and appeal. Familiarity with the TV show makes it easy to understand the gameplay as it translates onto a Paragon quiz machine, and there’s plenty of fun even in a losing game. 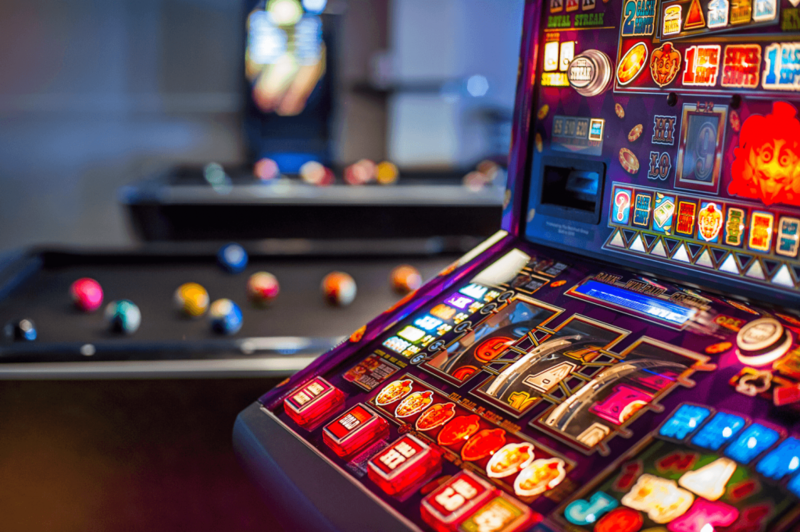 The phenomenal TV success story has translated onto almost every possible gaming platform, including quiz machines and pub fruit machines, and remains a go-to option for many players. Deal or No Deal on quiz machines has been given several updates over the years since the TV game show first launched, and there’s even Deal or No Deal No Questions for players who want to skip straight to opening prize boxes. One of the most popular modern games on quiz machines, Pixel This! is designed in the style of a mobile gaming app, which again helps to give intuitive gameplay to new players. It’s a hangman-style word game with clues in the form of pixelated pictures that gradually become clearer – the faster the player guesses correctly, the more points they earn towards the next cash prize payout. How much does it cost to install a quiz machine? If you want to offer these most popular quiz machine games and many more to your patrons, you can do so at zero upfront cost. If you want to know more about how to get a free quiz machine in Manchester, contact Manco today on 0161 870 7777 or email info@mancoautomatics.com and we will be happy to help.